"How many times have you been to Disneyland?" To which I usually playfully answer back with, "In California? Never!". So this post is for you, the curious. A complete collection of every Disney vacation that I have ever taken*. Just about one of the only photos I could find from this trip! 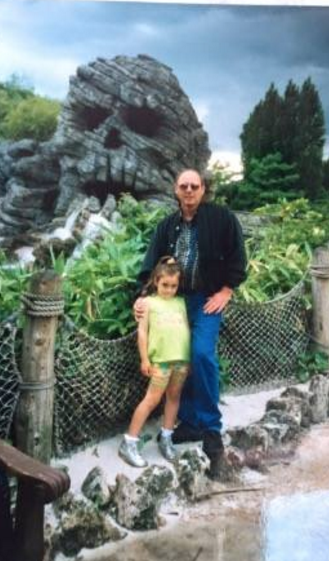 There's not much to say about this vacation really other than it was my first trip to a Disney park and naturally at age 1, I have no real recollection of it. Mum tells me that I thoroughly enjoyed the Carousel, Peter Pan's Flight and the Mark Twain Riverboat. I guess I'll have to take her word for it! Waterproof, check. Offensive metallic scrunchy, check. Oh and the fact that I went missing! Essentially, my parents had told me to go and stand a little further forward during the parade as it was hectic and I couldn't see a thing - clearly they hadn't mastered the art of arriving early at this point! When I turned around, I couldn't see them and I immediately panicked. I was lost! A Cast Member took me to a place that I can only describe as... heaven! It was a large room with low ceilings that looked a lot like Snow White's cottage and in this room there was a Disney movie playing on a large TV screen, Disney plushies everywhere and lost children galore! I was like a Lost Boy from Peter Pan. Just after the staff had taken my details at the registration desk and I was finally about to go and play with the others, my parents show up... typical. Mum obviously in floods of tears. Disappointed was an understatement. On a slightly more positive note, one particular highlight of this trip was a magical stage show that I sadly can't find very much about online. It took place on the Castle stage and featured a huge, enchanted storybook and as the pages turned, various Disney characters popped out to tell their story. It was amazing and I'm sad it's no longer there. 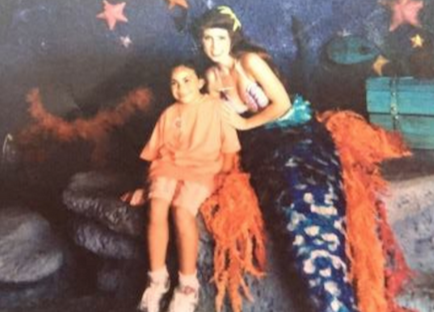 Ariel use to be my favourite Princess - I was super excited! My very first trip to the US. 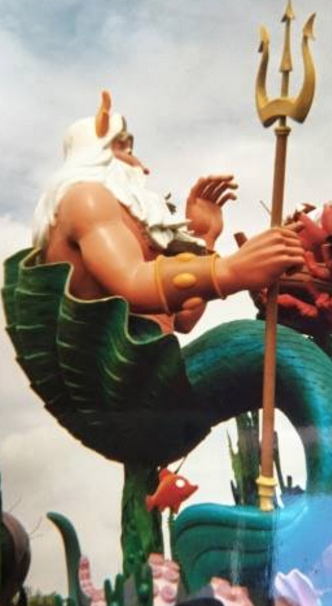 Memories of this holiday include being selected to perform with Ariel and friends in the Magic Kingdom parade, going to Seaworld (and hating it) and being sick in my hat on one of the Disney Express shuttle buses. Magical. 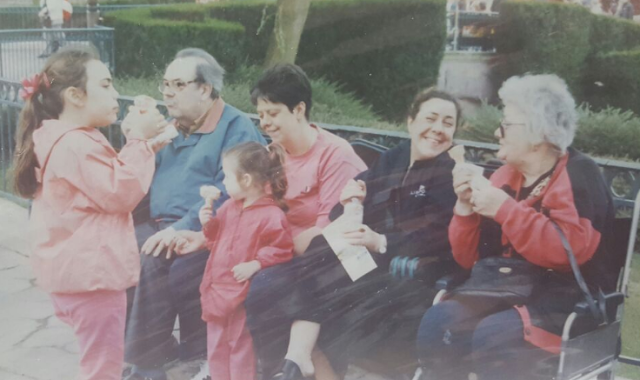 The Family enjoying an Ice Cream Break! Look at me stuffing my face! This Disney vacation really was a family affair! Memories include my Mum struggling to find me a Birthday Cake for my 8th Birthday at a Patisserie in Paris... her French really is very poor! And having my nose painted silver by a Circus Clown from Dumbo in the parade. My 10th Birthday! Morgan's in the orange pram to the left. 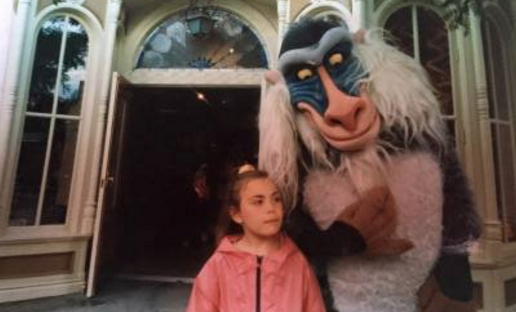 2001 marks a very special occasion indeed; my baby sister Morgan's first Disney vacation! She actually learnt to crawl in our suite at the Newport Bay Club and she was a major hit with all of the characters... especially Minnie Mouse! 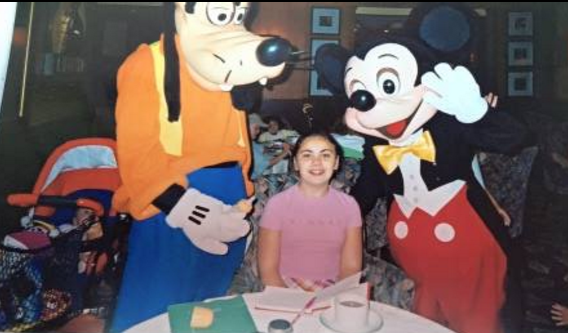 I celebrated my 10th Birthday whilst we were away and I was presented with a cake from Mickey and Goofy to celebrate. 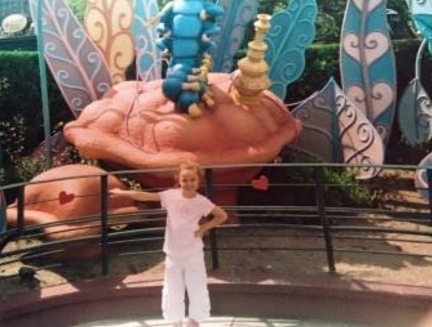 In March 2002, just a few months before my trip in June, Disney opened their 2nd park in Paris, Walt Disney Studios. At this time, the park was pretty basic. 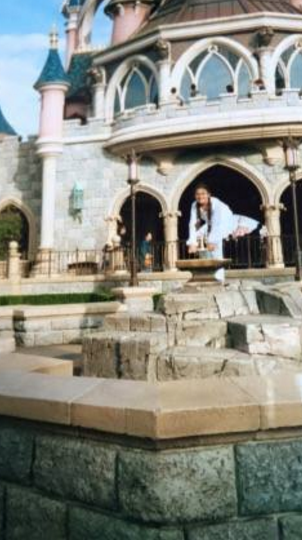 The only rides I could go on were the Studio Backlot Tram Tour and Aladdin's Magic Carpet... I was too frightened to go on Aerosmith's Rock 'n' Rollercoaster and The Tower of Terror back then! Morgan was walking on this holiday and I distinctly remember her adorably boogieing along to the Lights, Camera, Action parade in the studios! 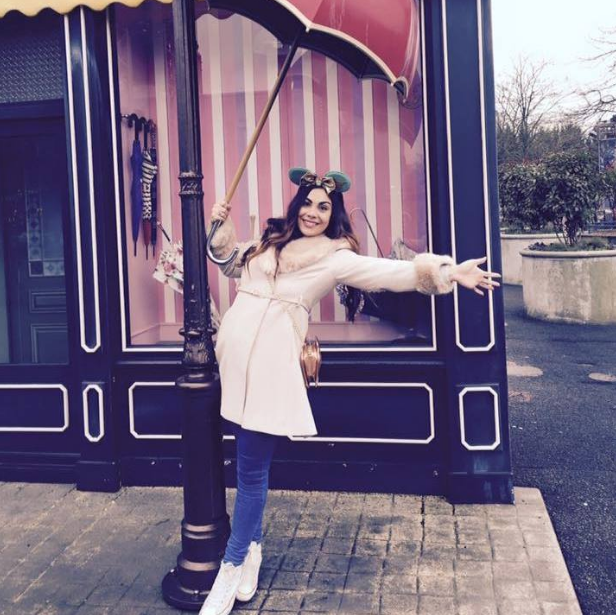 This trip was also my first stay at Disney's Hotel New York, my favourite Hotel at Disneyland Paris. Again, most of these memories are probably as a result of watching the VHS one too many times... and driving my parents mad consequently. I don't actually recall an awful lot from this trip which is strange as I was 15! I remember Morgan being able to enjoy herself more fully as she was a little older and therefore, she could go on a lot more. I also remember her being terrified of Pirates of The Caribbean. On this holiday, my parents said that I could bring my best friend Tash along too which made the trip a lot more enjoyable for me. I recall the evening after this photo was taken; Tash and I had to pin Morgan down so that we could wash off her face paint. She escaped and ran through the hotel screaming "They're attacking me!" - My parents were not impressed. Morgan's first holiday to Walt Disney World in Florida. 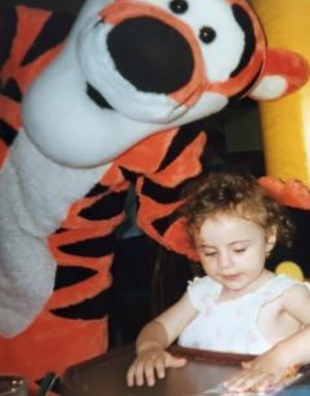 My parents wanted to wait until she was old enough before we went to Florida to ensure that she really remembered the experience and could get the most from it. 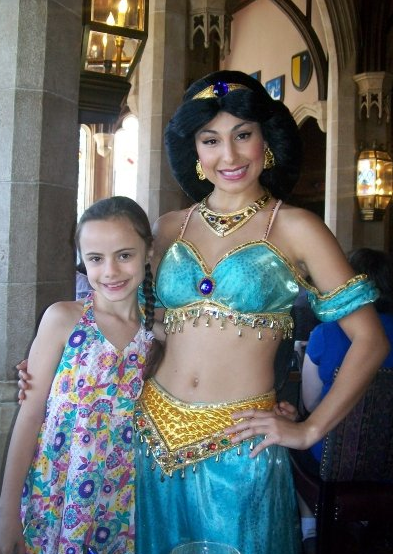 Highlights included dining with the Princesses in Cinderella's Castle and going to Blizzard Beach, Typhoon Lagoon, Animal Kingdom and Universal's Island of Adventures for the first time. Whilst we were there, my friend Tash was also in Orlando so it was lovely to catch up with her for an evening. 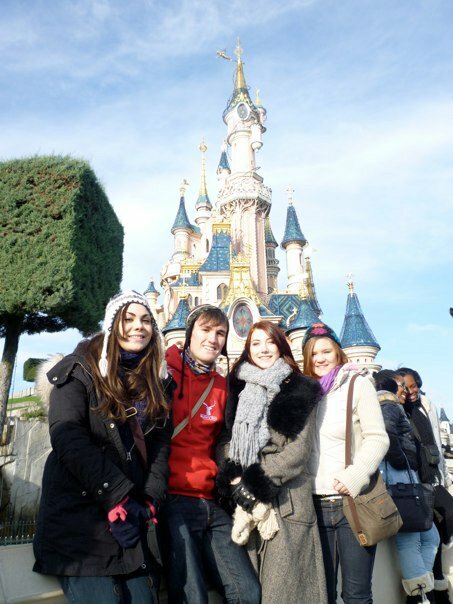 This Disney trip was my first without my family; a group of us from University were able to go at a discounted rate. My sole memory was how FREEZING it was! Do not be fooled by the picturesque sky in the photograph above, it was so, so cold. 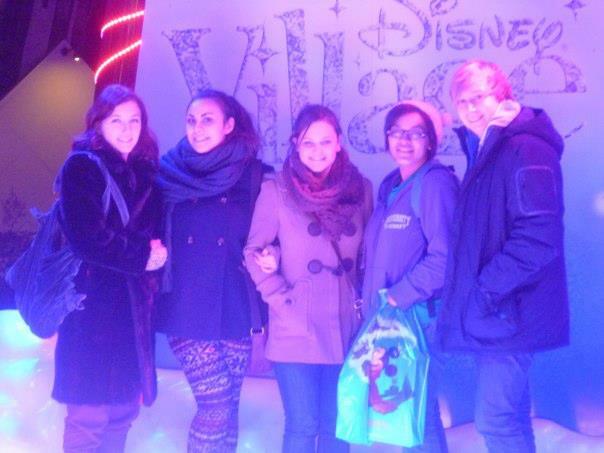 This was my first Christmas Disney trip and I hadn't imagined how chilly it would be. I remember layering up with tights, thermal socks, leggings and jeans and my legs were still frozen. Always think about the weather before you travel! 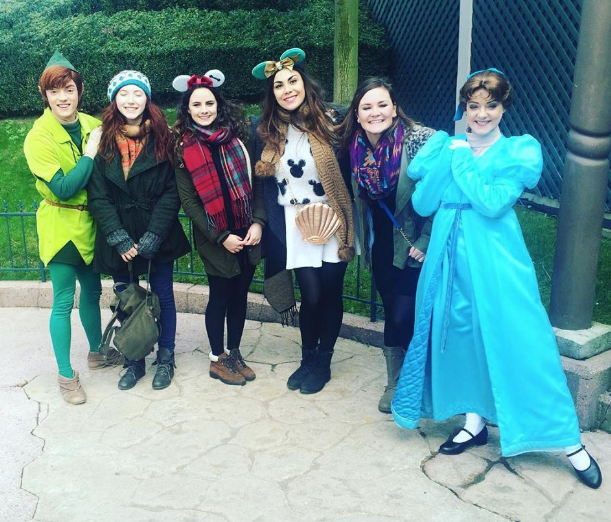 My second University Christmas trip to Disney and thankfully this one wasn't as cold as the first. Memories include the newly opened Toy Story Land in Walt Disney Studios and meeting Flynn Rider and Rapunzel for the first time. My friend Jana was also on a work placement in Paris whilst we were there so he came and met us for one of the days which was lovely... and it was very helpful to have a French speaker with us! When my Mum asked me what I wanted for my 21st Birthday, the answer was simple. 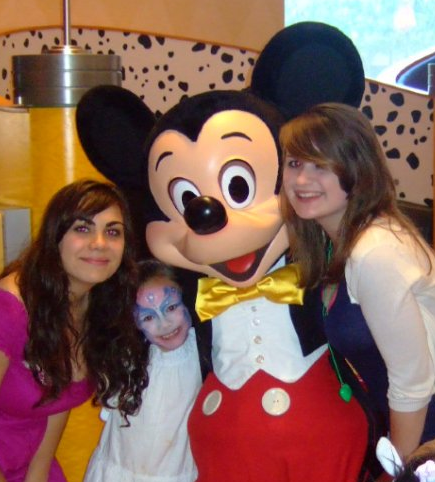 This was my first Disney holiday after my parents had separated which was quite hard for Morgan, my Mum and I. Mum had said that my friend Jo could come with us too which was lovely and as it was her first trip to WDW, it was great to be able to share the experience with her. Our very good friend Dan whom we had been to Paris with previously was also in Orlando at the same time so we spent a whole day with him in the Magic Kingdom which was wonderful. This was my first time staying at a Disney resort in Orlando and I don't think I could ever go back; the ease of using The Key to The World (which has now been replaced with the MagicBand) was a dream and the Disney Dining Plan included saved us a ton of money! Highlights included the newly opened Wizarding World of Harry Potter in Universal's Island of Adventures, dancing along to samba in Animal Kingdom and putting together my friend Dan's 21st Birthday Video which you can view here. Number 13, unlucky for some and certainly for me in this instance. The less said about this trip, the better. Morgan, Annika, Steph, Jo, Dan F, Dan E and I with our entourage! 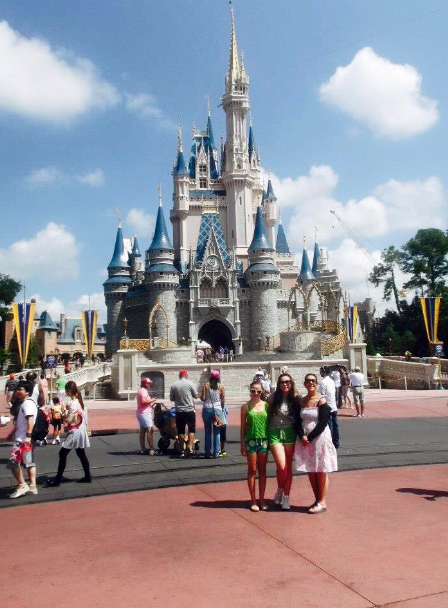 My most recent Disney vacation and where this blog began really! After not going to a Disney park for a couple of years, I was desperate for a little break in Paris. A group of us decided to go in February 2016 and I couldn't not take Morgan along too so her Christmas present from me was the trip! 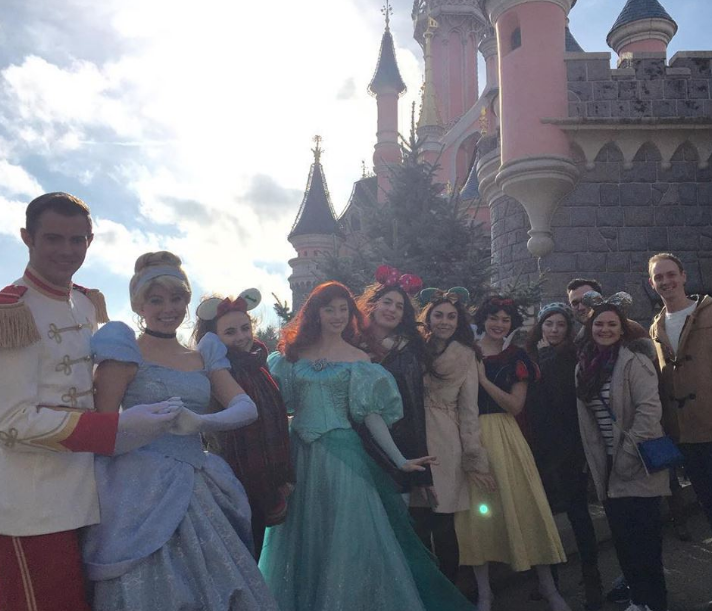 We were fortunate that our ex-Cheeleading Coach and dear friend Dan was working at Disneyland Paris whilst we were there which granted us a real insight into the park and a couple of VIP experiences such as the picture above! He really helped to give the trip that extra little bit of Disney magic. We were also very fortunate to have a Compass Club room at Disney's Newport Bay which you can read a little more about here. 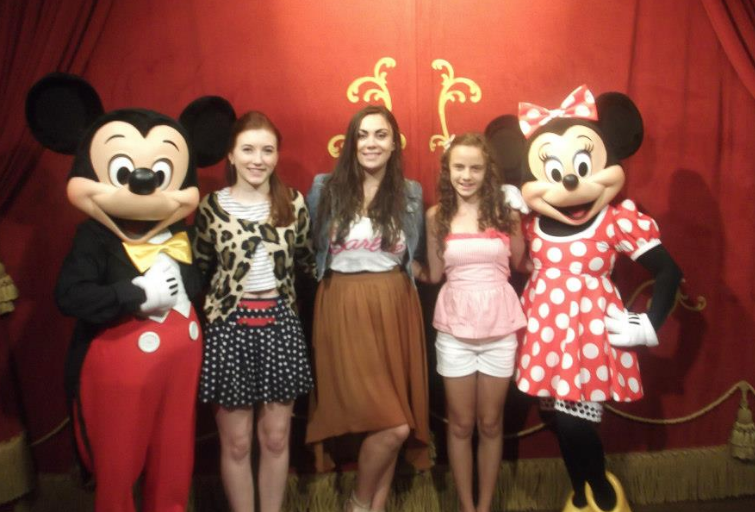 Overall, this was probably one of my best Disney trips to date! And now here we are, all caught up. For my upcoming trip, I will hopefully be enjoying 2 days at the brand new Shanghai Disneyland park including a night's stay at the luxurious Shanghai Disneyland Hotel with my boyfriend Chris. Tash is living in Shanghai at the moment with her boyfriend Benji so they will be joining us for one of the days. 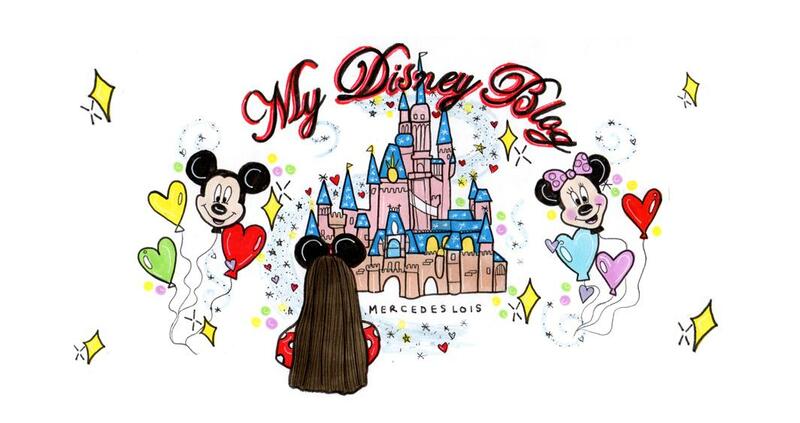 "Imagine how excited 13 year old Mercedes and 13 year old Tash would have been if we told them that, not long from now, they would be going to a brand new Disney park with their boyfriends!" You can imagine how 'cool' we were at age 13 from that simple statement really... but it's entirely true. It's our dream come true. 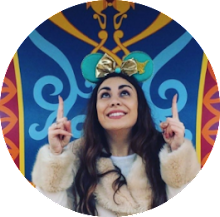 I am beyond, beyond excited for this next Disney vacation and I will of course be sharing everything with you via this blog, twitter and my Instagram account. If you have any questions about any of the trips mentioned, please let me know in the comments. 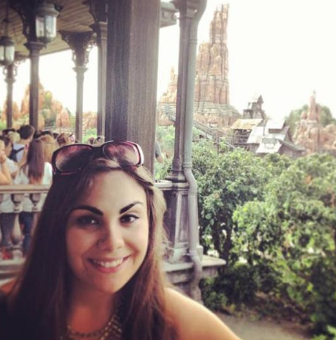 I really would love to hear about your Disney experiences, especially if you have been to parks that I have not! *DISCLAIMER: I would like to say that I very much appreciate how fortunate I have been. For a long time, I was an only child which meant that my parents had more disposable income than families with several children. In recent years, all of my trips have been self funded; for me, savings = Disney! I appreciate that sadly, this can't be the case for everyone and I am very grateful for the experiences that I have been able to enjoy.